After the announcement of Director Mani Ratnam's next film with Actor Karthi, huge expectations started to rise around the film. This film was speculated to be an action entertainer, but we hear that it isn't. Here is an interesting update about this yet-to-be titled flick. Lyricist Vairamuthu was engaged in a live video chat session with his followers in Twitter, along with Music Director A.R.Rahman and Director Mani Ratnam. During the course, he told that the trio are involved in music jamming session currently, discussing about the project and song composition style. He also added that this film will be a refreshing love story and is coming up well. The film features Actor Karthi, playing a pilot, while Bollywood girl Aditi Rao Hydari plays his love interest. 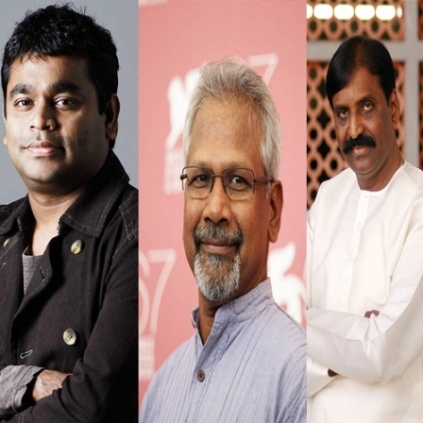 Mani Ratnam - A.R.Rahman - Vairamuthu has always been a successful combination and so, we can surely expect a refreshing and lovely album for this film too. Update On Poet Vairamuthu's Upcoming Films. People looking for online information on A.R.Rahman, Karthi, Mani Ratnam, Vairamuthu will find this news story useful.